Game on…it’s time to get ready for the best school year yet (or at least we hope!). In less than two weeks, we will be sending our kids off for another year of school. 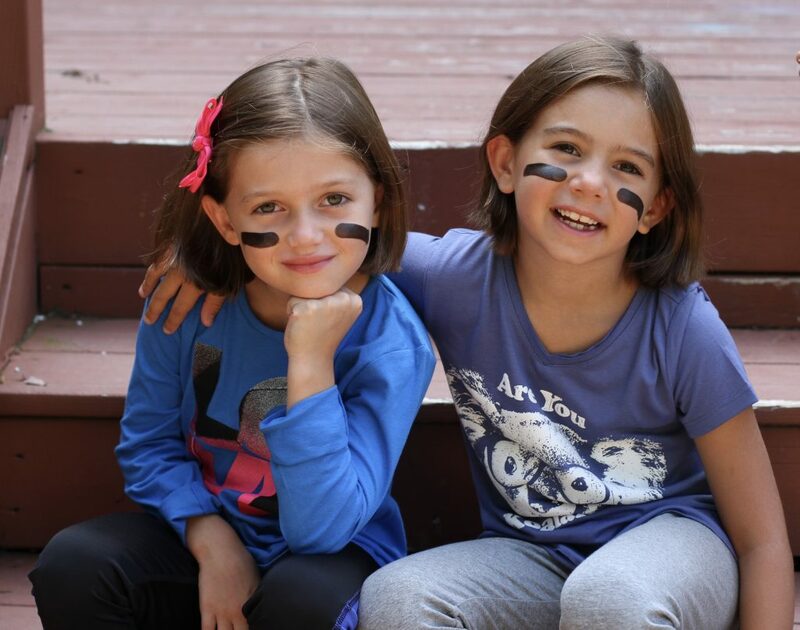 It’s time to get our game face on for school & get ourselves ready for another year. 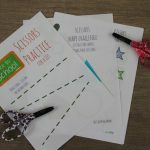 Today, we decided to ask our kids to share some “game winning” back to school tips, including more details about one of our favorite places to shop for back to school, Kohl’s. Read below for their tips & some great coupon codes to help you shop this year! 1. Tell us what you are most excited about for school! Back to School Tip 1: Talk about school for several weeks before it begins. Get them excited about school! If it’s a brand new school, make sure to take the summer to get familiar with it. My boys will be attending a new school this year so I took the boys for a tour in the spring & we have talked about it all summer long. If possible, especially with younger children, play on the playground a couple times before the school year begins. We also have had a couple playdates with other students in their grade, so they will have a few familiar faces on the first day of school! 2. What time do you think bedtime should be on school nights? Back to School Tip 2: Prepare a routine and schedule that starts on the first day of school. As you can see, we obviously need to establish a good bedtime for our kids after a summer of fun! I suggest planning a morning routine before the school year begins and begin practicing it a week or two ahead of time. Plan a snack time and some down time after school. Make sure that your little ones have some free time after school to just “be”. 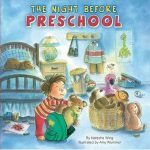 One thing that I know we need to do is establish a bedtime routine for school nights again. Right now, we are in summer mode with later bedtimes. Starting next week (which is two weeks before the first day of school), I’m going to push the bedtime routine up & get us back to the routine of the school year. 3. 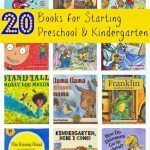 What are some of our favorite Back to School books? Back to School Tip 3: Read Back to School books & think of some simple ways to reassure them about school! At the beginning of August, I pull out all of our favorite Back to School books to kick off this special time of year. This helps get the kids excited for another year of school. Also, especially for younger children, think of some simple ways to help them feel assured about school. 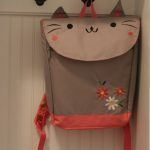 This could be packing a mini lovey in the backpack for the day or establishing a special good-bye routine. One thing that I have learned through several preschool drop offs is to make the good-bye short and sweet. Give them a kiss & tell them to have a great day and then leave (even if they are crying!). Teachers know how to deal with this & most likely all will stop within several minutes, or at the worst several days but they will most likely adjust! Continue to be positive & uplifting about school and your kid will feel the same way. 4. What are some of favorite foods to pack in your lunch? Back to School Tip 4: Get your cupboards and refrigerator stocked with healthy foods for breakfast, snacks, & lunches. About a week before school starts, I am planning to clean through my cupboards and refrigerator & head to the store to get our kitchen packed with healthy items to make a variety of healthy & easy breakfasts, packed lunches, snacks at school, & after school snacks. Check out our post here with some great “packed lunch” ideas. 5. What’s your favorite part of back to school shopping? 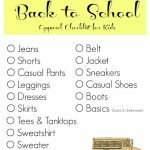 Back to School Tip 5: As you prepare for the first day of school, one of our biggest roles as moms as getting all the back to school clothes & gear. As you can tell by my children’s responses, some of my kids love to help do their back to school shopping and some do not 🙂 So when I do our back to school shopping, I look for places that I can shop both online and in-store. Kohl’s has always been a favorite store to shop because there is something for everyone & I have to say that I love their great prices. There are always sales to be found & I love that you can combine the sales with their in-store coupons. I also love that Kohl’s carries a variety of brands so you can grab all your back to school necessities at the same time including athletic wear, backpacks, & school clothes. All the clothes featured in today’s post came from Kohl’s. Below, we are sharing a few of our favorite finds! Right now, Kohl’s is hosting their Friends and Family sale from August 17-20. Use coupon code: SAVER to receive an extra 20% off, on top of the sale prices! 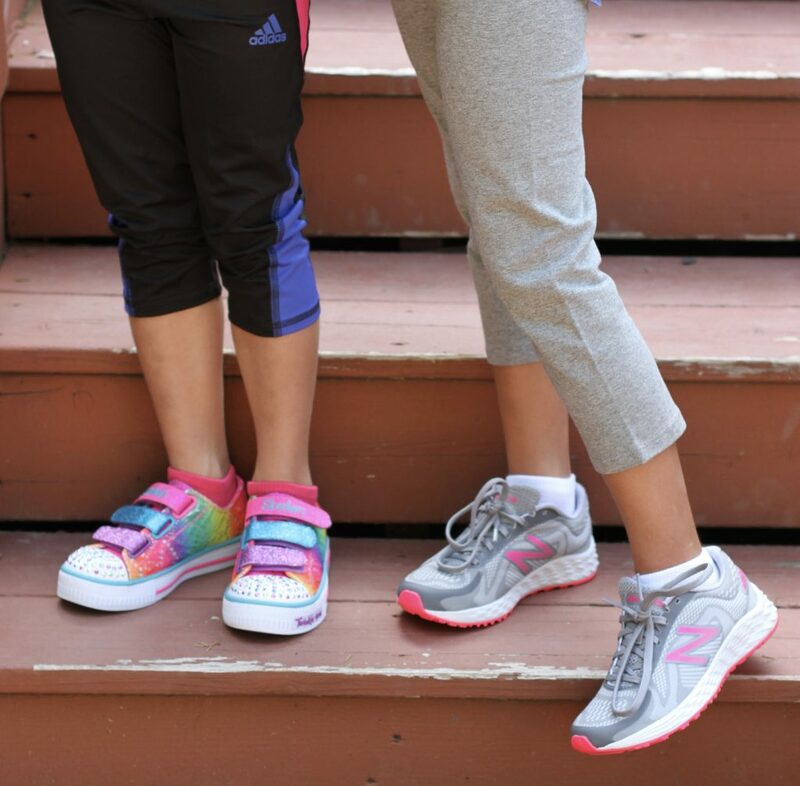 In addition, through August 20th, use coupon code: BTS10 to receive $10 off $50 kids clothes. For more coupons, make sure to check out Kohl’s coupon page here. 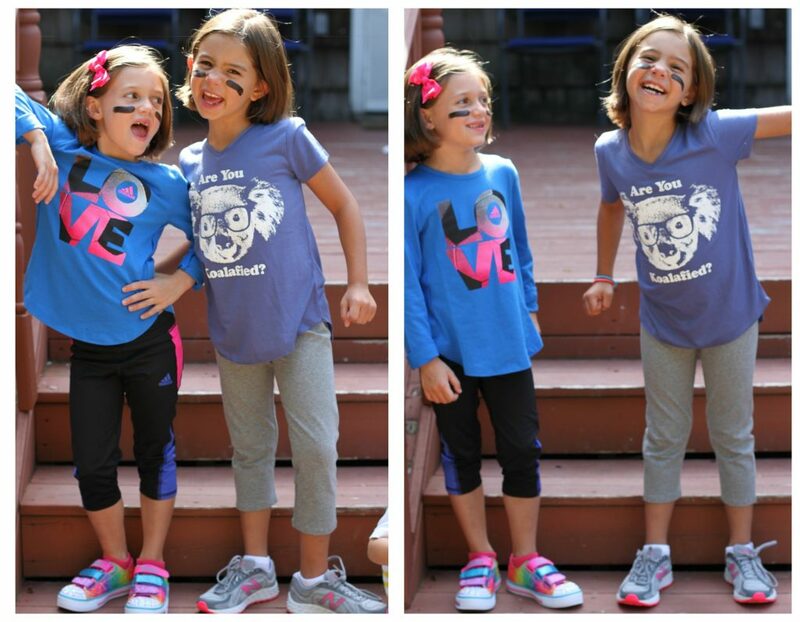 Their clothes & gear will help bring a winning game face for the first day of school! Disclosure: “My blog may contain links to other websites. I am not responsible for the privacy policies of those other websites. When you click on a link, your information may be collected by those websites so I encourage you to read their privacy policies.” All affiliate links are not associated with Kohl’s. Yay! I LOVE kohls! Thank you so much for sharing! 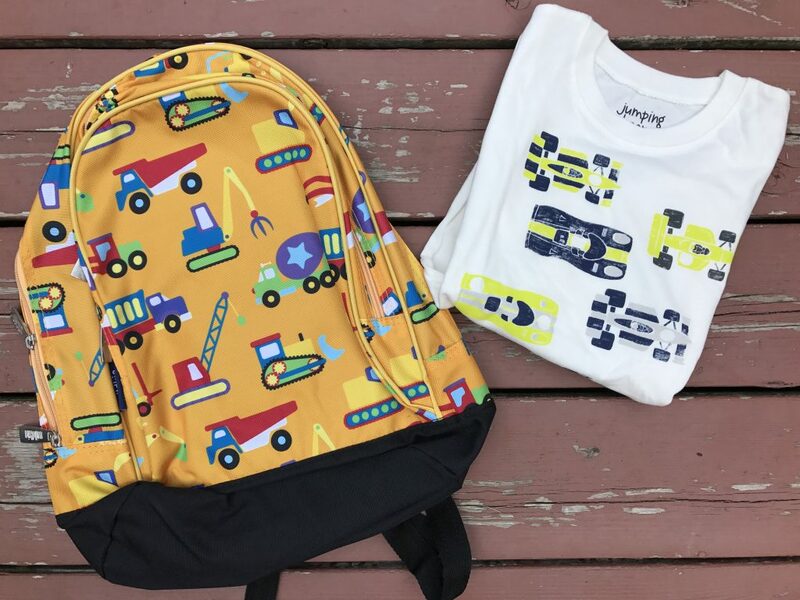 The backpack with the trucks is too cute! I think my little guy needs that! I’ve yet to do any back to school shopping for my little guy, but after we get back from vacation we’re heading to kohls! I wish we had a Kohl’s here. My kids love back-to-school shopping! So cute! We love Kohls and do a good amount of shopping there every so often. Can’t resist their home section too!